Nitrogen loading and LadyFest are topics for discussion at three-hour meeting. After bids to build the new Oak Bluffs town hall came in over budget for the second time, O.B. selectmen are left to decide whether to ask town voters for more money. Building committee chairman Bill McGrath presented his committee’s suggestions for a new Oak Bluffs town hall to town selectmen Tuesday after a second round of bids came in $1.3 million over budget last week. 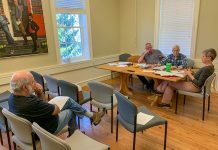 After being approved for $9.88 million by town voters in the annual town election last April, the project has yet to receive a bid that comes within budget range. McGrath told The Times that even after cutting a basement, a second-floor dormer, and other parts of the initial design, saving an estimated $1.7 million, inflated prices on building materials and prolonged construction have kept general contracting bids high. McGrath laid out several options moving forward, but strongly recommended option one — putting an article on the Nov. 13 special town meeting asking voters for an additional $1.3 million. If approved by voters, McGrath told selectmen, bids would be in hand, and construction could start in January and end in April 2020. McGrath said it would be the best option. If approved at the special town meeting, the project would not have to go to the annual town meeting. An approved $1.3 million would be added to the town hall project approved in 2017, and would not require an override. While the pros would essentially ensure a new building, McGrath said it would most likely raise real estate taxes by $3.65 per $100,000 assessment in the first year, or about $22 for an average house. Town selectmen, however, were not convinced. 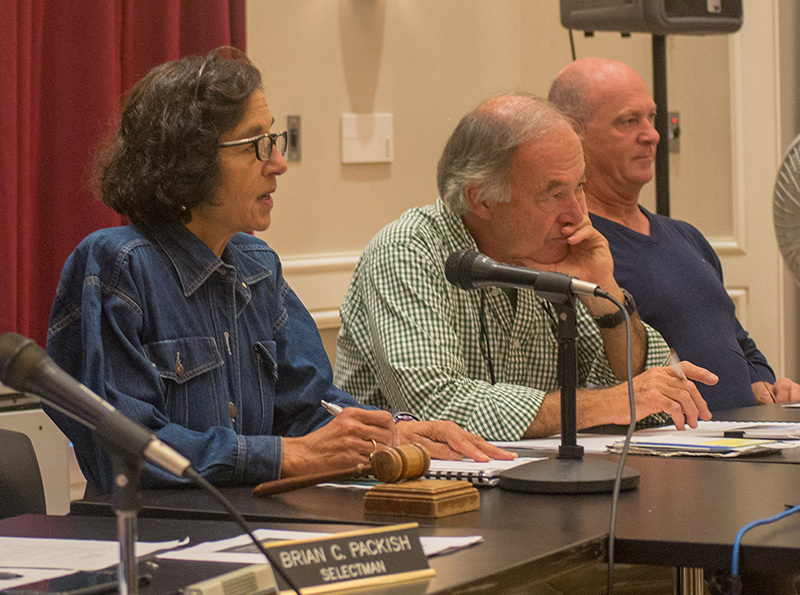 Selectman Brian Packish and chairman Gail Barmakian did not like the idea of placing the funding request on the special town meeting warrant. “If the money is not provided in November, then the bids that we have disappear, and we are back at square one,” McGrath said. Despite McGrath’s warning, Barmakian and Packish agreed the decision should be brought to voters at the annual town meeting in April, when more voters would be in attendance, and be a full debt exclusion. “It’s important to go to and get as many voters as we can on these significant questions,” Barmakian said. Selectman Greg Coogan said the town should not lose sight that voters want a new town hall. He backed the building committee’s recommendation. “[Town voters] should weigh in on it in November,” he said. Packish called a big portion of the $1.3 million “fat,” or a premium tacked on by the bidders. He said the town could step back and let the price go down. At some point, town officials are moving into a set of trailers that have been leased for 18 months for $8,200 a month. After the lease runs out, the town has the option to rent the trailers out on a month-to-month basis. The selectmen chose to wait to put the $1.3 million funding article on the warrant until the board’s next meeting on Oct. 10, which is the deadline for putting articles on the Nov. 13 warrant. In other business, Mark Drainville of GHD, an engineering, environmental, and construction consulting firm, gave a presentation of the town’s needs assessment for wastewater management with a Comprehensive Wastewater Management Plan (CWMP). CWMPs are being done statewide to deal with wastewater issues — particularly nitrogen loading in the case of Oak Bluffs and the Island. The total estimated amount of wastewater that will need to be managed is 896,000 gallons per day (gpd), Drainville said. Currently, the Oak Bluffs disposal capacity is 620,000 gpd, creating 276,000 gpd of wastewater flow that the town would need to manage through alternative means of treatment. Drainville said his presentation was identifying needs for the town’s wastewater management, and not yet offering solutions. All CWMPs go through an environmental review under the Massachusetts Environmental Policy Act (MEPA). Starting Sept. 26, the assessment enters a public comment period in which the public is able to send comments to MEPA analyst Alex Strysky by email at alexander.strysky@mass.gov or by mail. More information can be found on the mass.gov website. 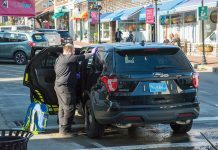 Selectmen voted unanimously to hold LadyFest, a Martha’s Vineyard Community Services program of female-led music performances that benefits Connect to End Violence, on Oct. 20 from 7 to 11 pm. The event will close off the bottom of Circuit Avenue, up to Sharky’s restaurant.